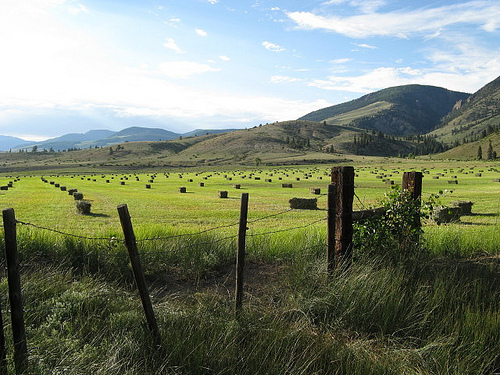 The Wason Ranch Corporation leases the entirety if its 1580 acres to Mr. Jason Vineyard of Creede, Colorado. Jason is our immediate neighbor west of us. Jason runs cattle and maintains and hays aproximately 175 acres of hay meadow. Cattle and horses have intensely grazed the entirety of the Wason Ranch for over 140 years. 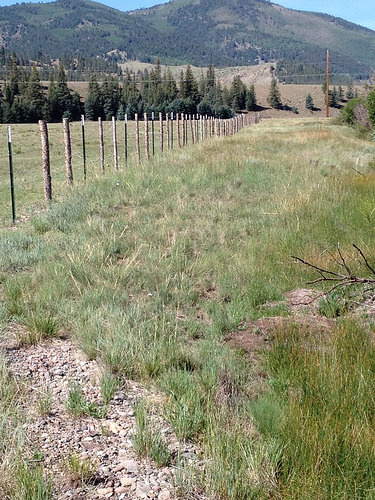 This grazing, combined with a very short growing season at 8800 feet of elevation greatly compromised the river, its trout holding and rearing capacity, and compromised pasture land. The streamside vegetation, wetlands, riparian corridor were affected by the ever-widening and ever shallower river. Further, the thin soil, and short vegetation of the uplands were damaged by over grazing. In 2003 the decision was made to make a substantial investment in the restoration of our roughly 4 miles of river, wetlands, and riparian corridor. A noted trout stream hydrologist was employed to create a design and a contract was entered into with a construction company skilled in this work. A permit was obtained from the U.S. Army Corps of Engineers in August of 2003. This Stream and Wetland Restoration permit included, among other provisions that willow pole cuttings be placed along all reconstructed stream channels as re-vegetation and that work be restricted to between September1 and May 1 to avoid impact on an endangered species of bird, the Southwestern Willow Flycatcher. These requirements were complied with. 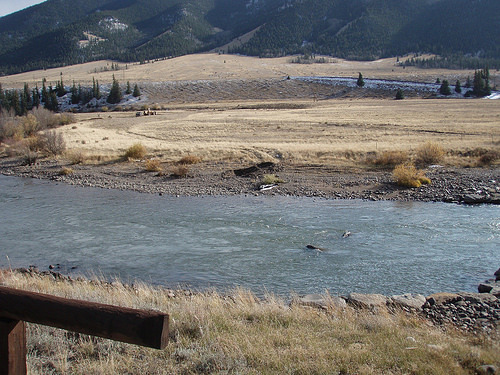 Among these agreements and grants, the USDA Partners in Wildlife provided a grant for the fencing of both sides of the ranches four miles of river. This created a riparian corridor both protecting the river and providing a corridor for the transit of wildlife and birds. In short, the ranch has been conscientiously managed for the promotion of soil and water quality, restoration of the river, wetlands, riparian corridor, and upland pastures for the conservation and increase in vegetation, fish, and wildlife populations. At the same time the Ranch has attempted to maintain agricultural uses compatible with those ends. The significant increases in fish count numbers and herds of over-wintering deer and elk attest to the success of these practices. In 2006, Wason completed the three year, 1 million dollar river restoration project. Some of country’s most well-known aquatic biologists, architects, and engineers helped design the improvements. Dave Rosgen, an internationally known trout stream hydrologist designed the restoration project, construction was completed by Dale Hockett of Elk River Construction Company. While the river has always provided wonderful fishing, years of cattle grazing contributed to the gradual deterioration of trout habitat. 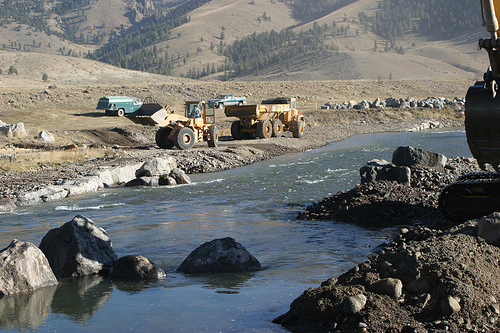 The restored river now boasts a deeper main channel as well as the introduction of thousands of boulders and tastefully implemented structures to improve both spawning habitat and predictable holding water. The results have been astounding with fish size, quantity and health all dramatically improving with each annual survey conducted by Colorado Parks and Wildlife. The fishcount they performed in October of 2011 revealed an estimated population of almost 6000 quality brown trout over 15 inches. Biomass, the number of aquatic insects and trout population have increased exponentially since.